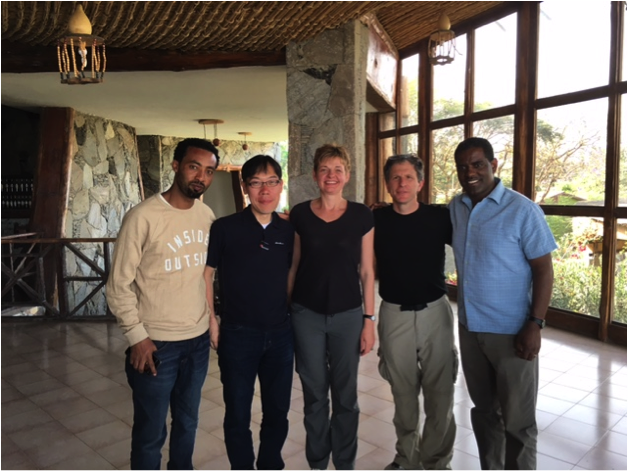 In January 2016, a team from UNU-IAS and the University of Massachusetts Boston (UMass Boston) conducted a first joint visit to Ethiopia. It explored new possibilities for joint teaching together with Addis Ababa University (AAU) and culminated in an agreement on future collaboration between UNU-IAS, UMass Boston and AAU. The visit was led by Osamu Saito (Deputy Academic Director, Academic Programme Officer, UNU-IAS) and Maria Ivanova (Professor, UMass Boston; UNU-IAS Board Member). During the first two days of the visit, researchers and students from the three institutions engaged in discussions with experts from Ethiopian ministries, the Chamber of Commerce, Institute for Biodiversity and Horn of Africa Regional Environmental Centre & Network. 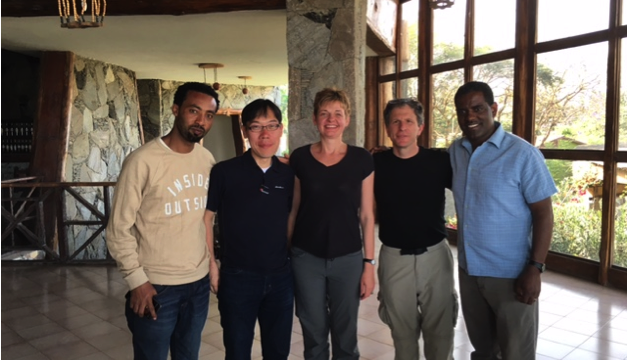 They covered topics such as emerging environmental, social and economic problems in Ethiopia and exchanged research ideas on human-ecological systems as well as research methodologies. On 25 January, Osamu Saito gave a lecture on the global landscape of sustainability science at the Centre for Environmental Science at AAU and met with management officials of the university to discuss future research and educational collaboration between UNU and AAU. The second part of the mission included field trips, where the participants familiarized themselves with Ethiopia’s challenges, such as biodiversity loss, expansion of invasive alien species, overfishing and waste management. These problems were especially evident in the vicinity of Zeway Lake ― Ethiopia’s fourth biggest and most exploited lake. Waste management problems faced by commercial and smallholder farmers, chemical pollution, uncontrolled water abstraction and declining numbers of fish create serious concerns for the community. Efforts to curb health risks to local populations are underway, however, and the team visited one such initiative ― a Dutch company, Soil & More Ethiopia, which produces commercial compost using green leftovers from rose harvesting. The mission was organized as a part of the UNU-IAS project Food security impacts of industrial crop expansion in Sub-Sahara Africa (FICESSA) and the Integrative Graduate Education and Research Traineeship (IGERT) programme led by UMass Boston. In participating in this visit, UNU-IAS succeeded in extending its research and education network in Africa beyond the existing network of Education for Sustainable Development in Africa (ESDA).